One of the biggest exposures of lenders is the potential write off from insurance claims against insured collateral. It has been our experience that short gaps between insurance repair estimates and actual repair costs average 30%. The same 30% average applies to insurance payouts on total loss repossessions. 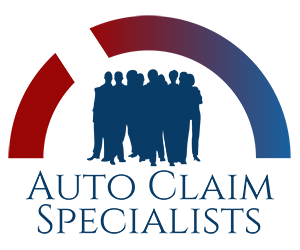 Auto Claim Specialists, as Public Insurance Adjusters, can manage your claims from the point of loss to the point of recovery, and help you drastically reduce repossession losses from vehicles that are damaged or totaled. Subrogation of insurance claims invariably fall through the cracks, or are never even identified as a potential recovery to offset repossession losses. The more you can reduce these predictable but unavoidable losses, the more profitable your business will be. As in all auto claim cases, the underlying driver for obtaining a fair settlement is an accurate vehicle value assessment. Auto Claim Specialists obtains its state of the art Motor Vehicle Certified Appraisals from the best appraisal firm in the business, Vehicle Value Experts. The accurate estimation must reflect any diminished value of a vehicle post repair due to its new history status. As a lender, you don’t have to just accept diminished value as a write off. We can help you recover rather than charge off these losses. And if a diminished value claim was paid out to a lessee or borrower prior to repossession, we can assist in the recovery of those losses as well. Maximize recoveries and minimize charge offs by adding an Auto Claim Specialist to your team. The benefit of using an Auto Claim Specialist Public Insurance Adjuster has been staggering, Prior to employing a Auto Claim Specialists Public Insurance Adjuster over seven years ago to handle our Total Loss Claims we were losing an average of $6,500.00 a loan on customers’ car loans we had financed that were in a wreck and subsequently totaled out. Today with the employment of a Auto Claim Specialists Public Insurance Adjuster we have reduced that number to an average of $3,500.00 per Total Loss. I wish every lender in the industry could find out that they do not have to take the original offer of settlement from the insurance company.